Are you a skilled photographer (professional, semi-pro, or advanced enthusiast) with excellent writing skills? Are you interested in helping other photographers improve their photography skills? Can you write in a way that is easy to understand, and practical so other photographers can use what they learn to build their skills? Can you help photographers choose the right gear with helpful reviews and insights about camera gear and how to use it? If so, we would love to feature one or more of your photography tutorials as a guest article on Photography-raw.com. We accept tutorials/tips that can help beginners, intermediate or advanced photographers learn more about photography. We are looking for tips about anything related to digital photography, including camera gear and post-processing. Articles about shooting video are only accepted if it is about how to use DSLR/mirrorless cameras for video production. Tutorials about drones are also accepted. (No mobile photo related topics, please). The article you submit should contain at least 5 images of high technical quality. We prefer that you use your own photos. Creative Commons (CC) licensed images (of high quality) are also accepted. If you use CC-licensed image, you should include proper credit (including link) to the original photographer. Images submitted should be max. 1200 px wide and in jpeg-format (80% quality). Your tips should be at least 800 words long. Any submission should be 100% original content that hasn’t been and will not be published elsewhere online. By submitting content, you allow us to use the text on this site indefinitely, and in whichever form, we find appropriate. You will always get credit through links to your website, no matter which way we use it (on the site or in a newsletter and the like). You will, of course, retain the full right over your own images, and can use them elsewhere. What Type of Content Do We Not Accept? We do not accept tutorials trying to sell or promote external products, affiliate links or links to other promotion posts in the article itself. However, you can have up to two links to your website in the guest article. Photography-RAW will validate whether the links are appropriate. If Photography-raw sees it fit to include links to other websites that benefit the readers’ experience, our editor will add them. We don’t accept content/images that violate copyrights. 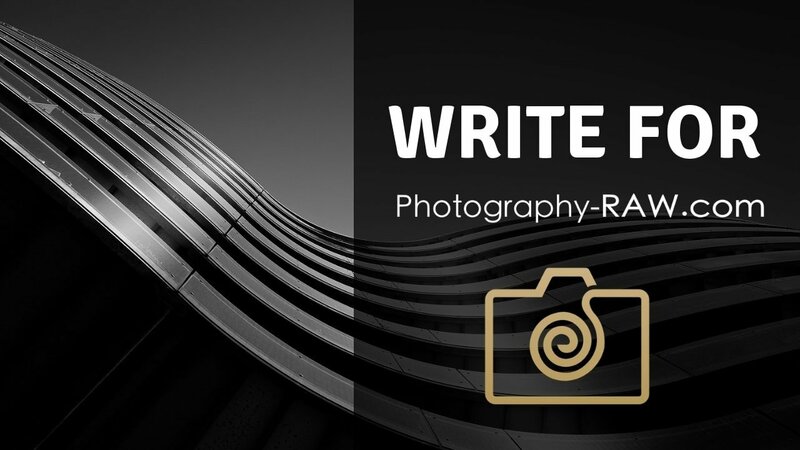 You as the author/photographer should make sure that you have the copyright or legal right to use for anything you submit to Photography-raw. Any copyright issues will be directed to you as the submitter. (But we, of course, hope that we never have such issues, right). We give you a byline at the top of the article. You can also get an author bio at the bottom of each article you submit. This bio can include links to wherever you have a presence online (website, and social media channels). Alternatively, you can opt for including a few the links in the article instead of having your own author bio. We might feature high-quality articles in our newsletter as well which will bring more reads and attention to the article/tutorial. Submitted (unpaid) content get priority in publishing. This mean that you can expect your article to be published within a week from submitting (depending on approval and editing needs). This is due to submitted content is irregular. We cannot build a publishing calendar on freely submitted content. So your article will get the first available spot. Regular paid content will follow our publishing calendar. How to Submit a Guest Article? Send your article with including images to editor@photography-raw.com. We will be in touch about whether we can use the article or not. If you prefer you may also send a pitch for an article with a short description of the idea for the article. Do You Have The Skills to Become a Paid and Regular Contributor? We are always looking for skilled photographers who also have a talent for writing. If you would like to join the team of photographers and writers, send an email to editor@photography-raw.com. Tell us a few lines about yourself, your photography skills and area of expertise. You should also send links to three articles you have written about photography. Please write “contributor application” in the subject field. You should be ready to submit at least one article per month. If you have the skills and fit the team of other contributors, we can tell you more about the writing process, terms and how we work together to deliver great content that helps a lot of photographers. If you have any questions or in doubt about anything, feel free to drop us an email. We will come back to you as soon as possible.